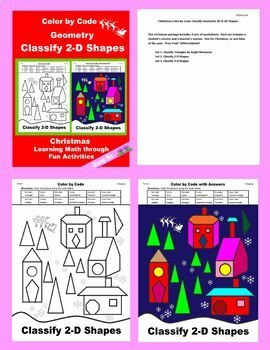 This Christmas Geometry 2D shape classification includes a student’s version and a teacher’s version. They are 12 kinds of shapes total. 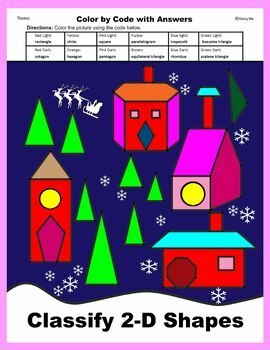 Use for Christmas Day, or any time of the year. Prep Free! Differentiated! 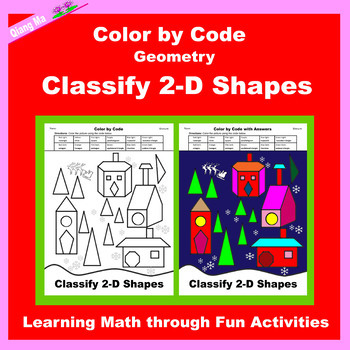 Shapes included: rectangle, circle square, parallelogram, rhombus, trapezoid, pentagon, hexagon, octagon, equilateral triangle, isosceles triangle, and scalene triangle.